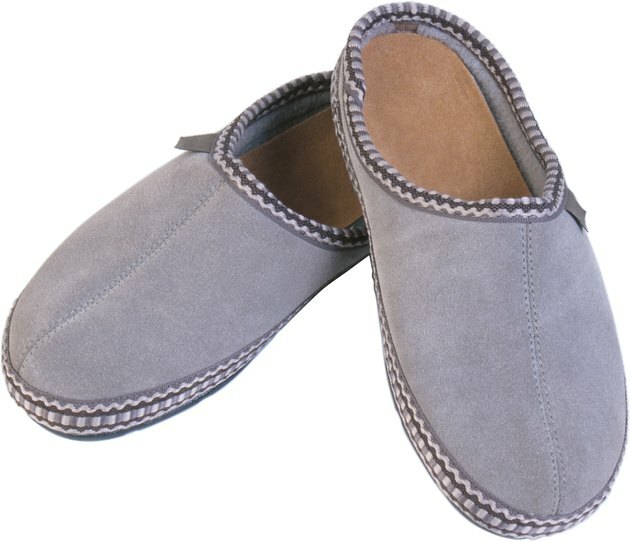 Bedroom slippers keep your feet warm and cozy, but that warmth can cause the feet to sweat and the slippers to smell bad. Over time these bedroom slippers will begin to have a strong sweat odor. You can deodorize the slippers with cleaning solutions that will not pollute your home's air environment and that will actually absorb rather than cover up the odor. Shake baking soda inside slippers. Sprinkle baking soda in the smelly bedroom slippers. There should be a thick layer of baking soda on the inside of the slippers. Let the baking soda sit for several hours. The baking soda will absorb the odors. Shake the slipper over the trashcan to discard the baking soda. Repeat the process if the odor is still very strong. Stuff the shoes with dryer sheets. These will help bring a pleasant odor to the shoes.